This elegant vintage-style purse is the perfect accessory for a night out on the town. Made of brocade fabric with velvet trim around upper edge, and is fully lined with inside pocket. 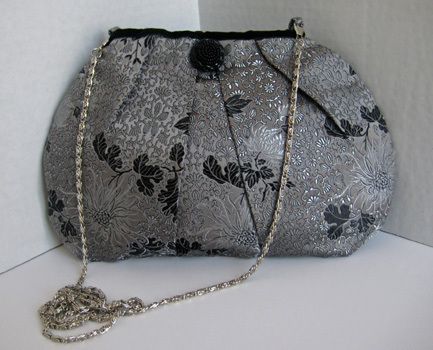 Purse has magnetic snap closure, chain strap, and accented with beaded button embellishment. Size approximately 7-1/2" L x 11" W.